Welcome to the Texas A&M International University Student Counseling Center (SCS). Our goal is to empower students to be capable and competent adults while adjusting to the challenges and transitions of the University life, as well as helping faculty and staff function more effectively in their work with students. 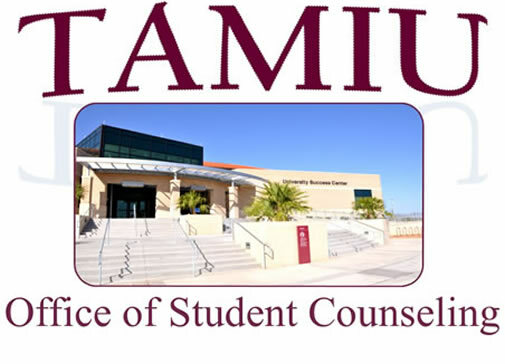 As a TAMIU student, you have access to counseling services without additional charge. SCS is supported by the student health fees paid each semester; therefore, counseling services are available to currently enrolled students. In addition, consultation services are offered to students, faculty and staff. SCS provides short-term individual counseling services to help students address personal problems that interfere with their academic success. Our services are confidential to the full limits provided by the law. If you are not sure what services might be best for you, please call to set up an appointment at 956-326-2230. Due to the number of students seeking our services, appointments are preferred, however walk-ins are welcome.